Preheat oven to 400 degrees F. In a large bowl, combine flour, baking powder, salt and garlic powder. Whisk together to combine thoroughly. Using a pastry cutter or two knives, cut butter into flour until it is coarse, pea-sized (doesn't need to be fine). Add oil, grated cheddar cheese and 1/2 cup milk. Keep adding milk a bit at a time, just until the dough is moistened and no longer dry and powdery. (Shouldn't be sticky, just moist enough to hold together). Drop approximately 1/4 cup portions of the dough onto an un-greased cookie sheet using an ice cream scoop or large spoon. Bake for 15-17 minutes. 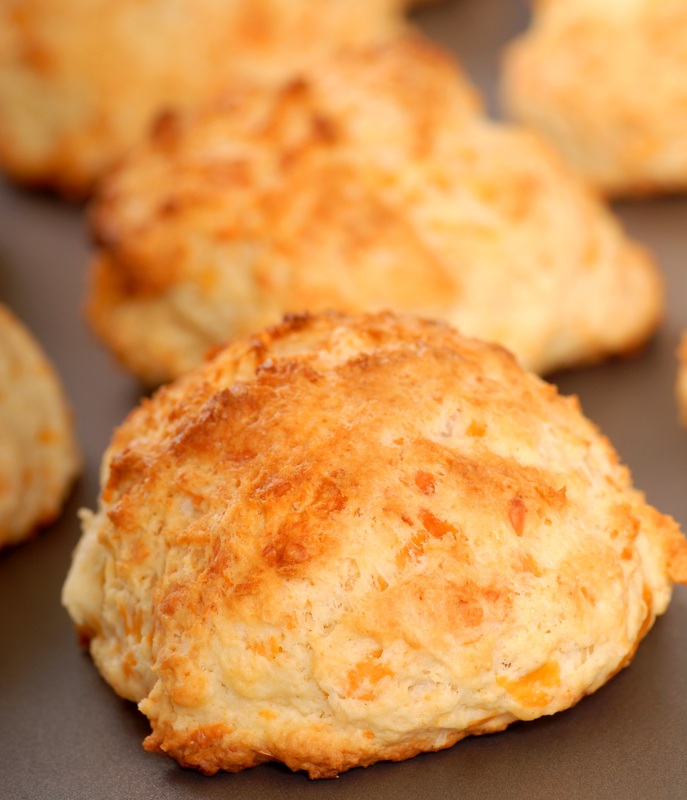 While biscuits are baking, melt 3 tablespoons butter is a small bowl in your microwave. Stir in 1/2 teaspoon garlic powder and the parsley. When biscuits come out of the oven, use a brush to spread this garlic butter over the tops of all the biscuits. Use up all of the butter.